Park houses are perfectly suited for upscale RV parks and resorts. Our proprietary building technology is unrivaled in our ability to deliver designer luxury and commercial strength. Park Line program was created to fulfill our clients unlimited structural needs where space is often in short supply. People come to us for great design, a team that’s easy to work with and tons of value packed into a uniquely specialized smaller space of 1000 sq.ft. or less. This is the foundation creating Park Line value. The distribution package gives the investor a certain territory to develop the market with our product range. 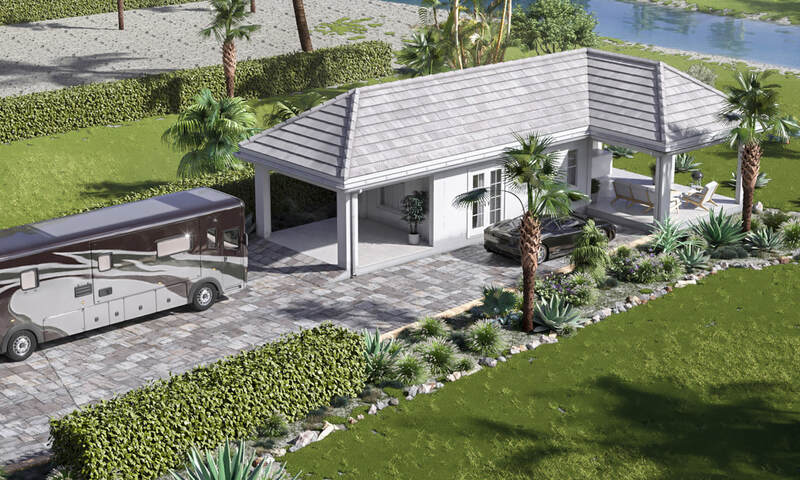 As part of the deal you will get a sample house to be placed on your land in an RV friendly community or similar where you will be developing sales network in your area in categories of RV park and resort houses, pool houses, home office and guest house categories.